BeamLab consists of two toolboxes: Beam Propagation Toolbox and Mode Solver Toolbox. 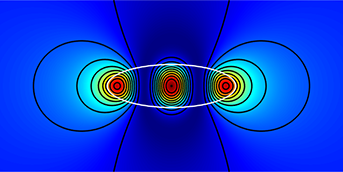 They enable you to analyze beam propagation in waveguides as well as free space and compute eigenmodes of waveguides with arbitrary cross-sections. 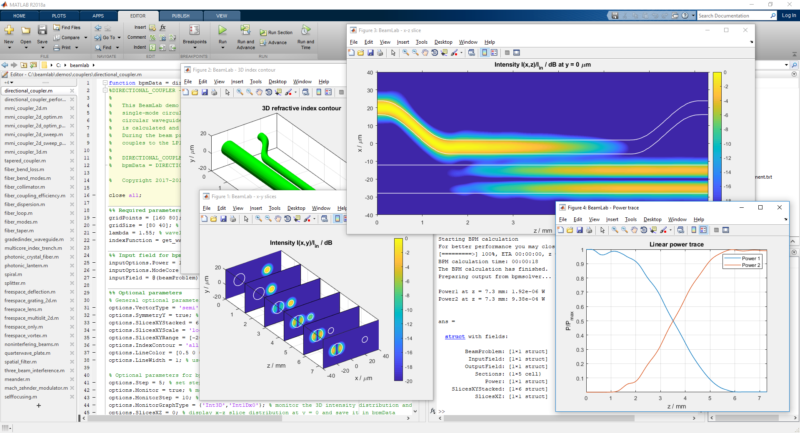 Now you can do this all in your familiar MATLAB® environment, including parameter sweeps, optimizations, unlimited plotting options, and more! BeamLab’s Beam Propagation Toolbox implements the so-called Beam Propagation Method (BPM), which is a popular simulation technique for evaluating the evolution of optical fields in waveguides, photonic devices, and in free space. BeamLab’s Mode Solver Toolbox calculates the eigenmodes and corresponding effective refractive indices of any waveguide’s two-dimensional refractive index distribution with high precision.